Looking for a romantic, yet casual place to spend Valentine’s Day? Vino Locale is the place for you! Enjoy beautiful sunset views and live Bossa Nova music with Caio Villela from 6-8pm. Come solo, as a couple, or with a group of friends! We will be serving up our usual selection of delicious tapas, as well as our full wine list. 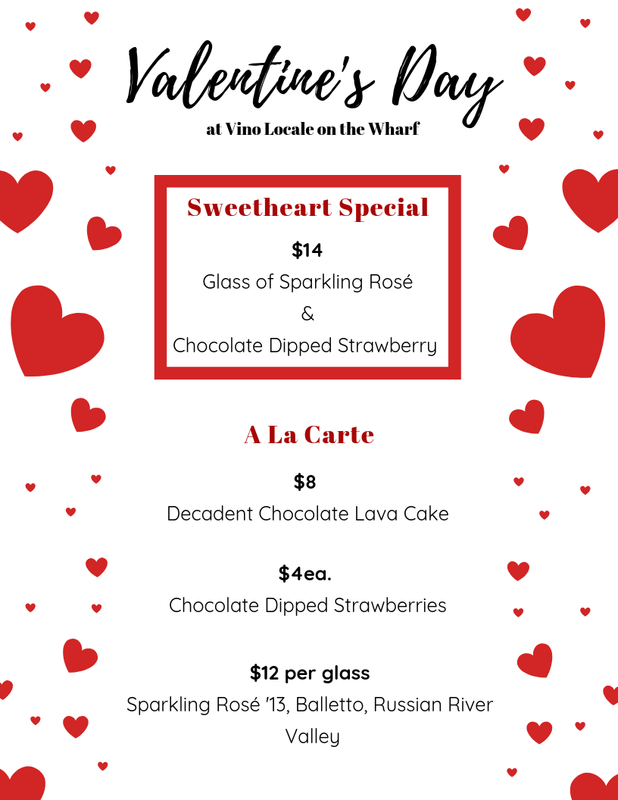 As a special treat, indulge in our featured Sweetheart Special to top off your delightful evening!